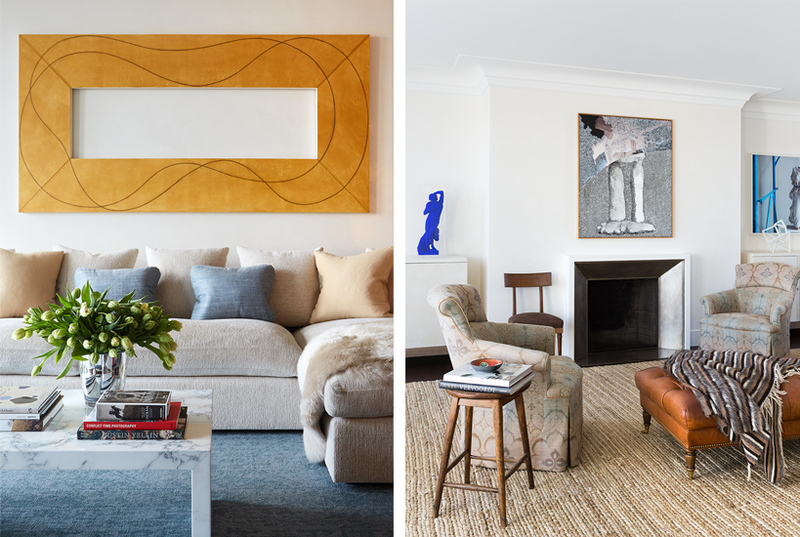 Jesse Carrier and Mara Miller, the principals of Carrier and Company Interiors, are a husband-and-wife design duo who create rooms that are a confident mix of timeless and contemporary design—both familiar and fresh at once. Always refined and sophisticated, light-filled and airy, the Carriers’ work ranges in style from elegantly traditional to luxuriously minimalist to glamorously bohemian. 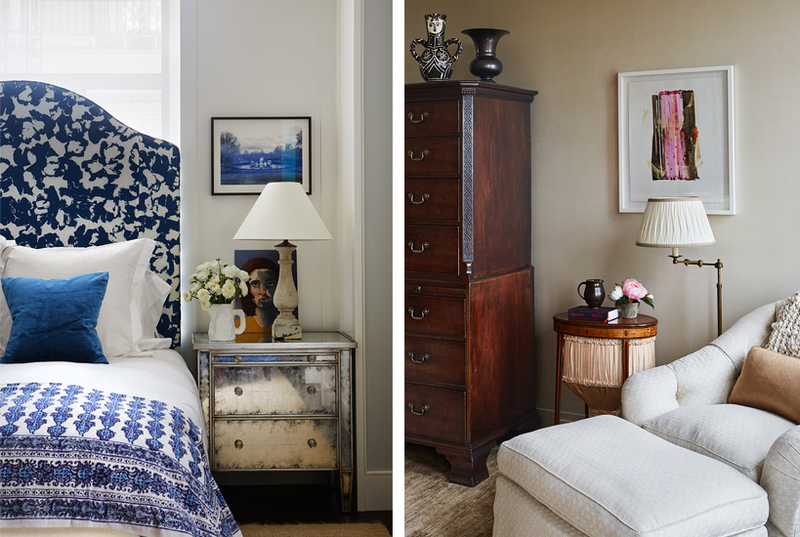 Their rooms feature subtle patterns and neutral palettes punctuated by bursts of exuberance and unexpected mixes of high and low, old and new. 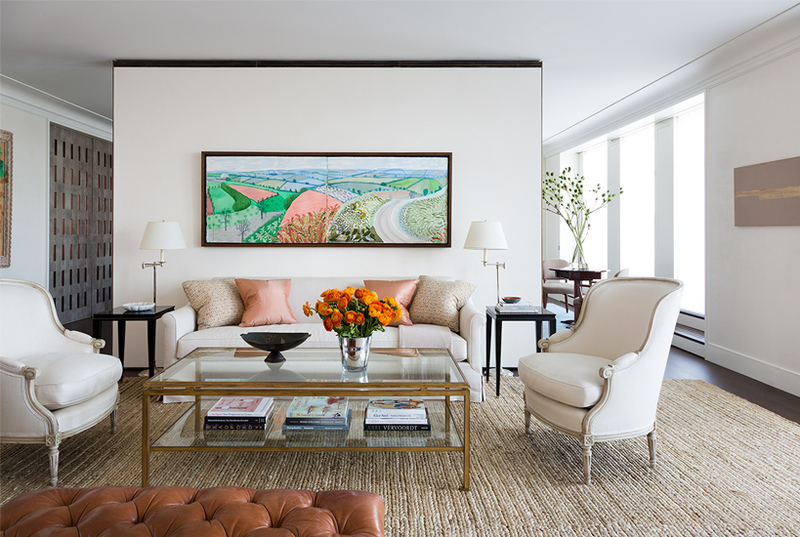 When the homeowners of this Central Park penthouse apartment returned from living in Europe they hired Carrier & Company to work with them on the interior design to embrace “a more moderne moment”. 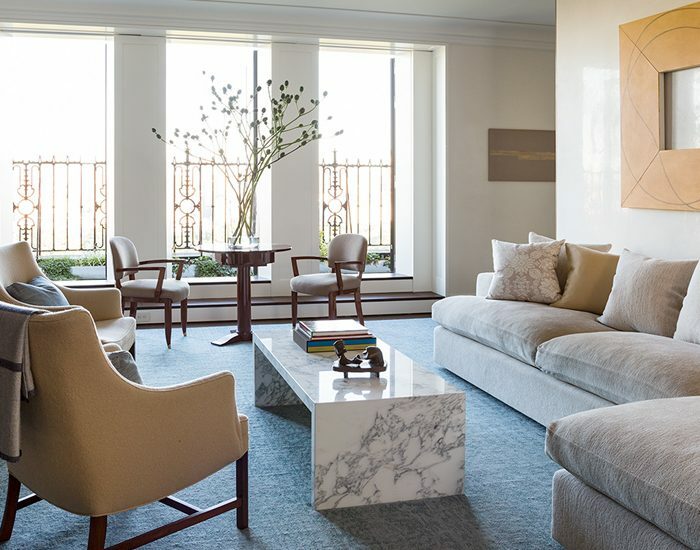 This Upper West Side apartment required significant changes during the renovation led by principal architect Calvin Tsao and associate Richard Rhodes, along with builder Rob Carpenter. They opened up the hallway and removed walls allowing you to see the park all the way from the kitchen. Natural light and views were key drivers of the design layout as was the idea that when entertaining the homeowners could host in a open and spacious room divided by a floating wall rather than cramming into the previous small series of rooms. 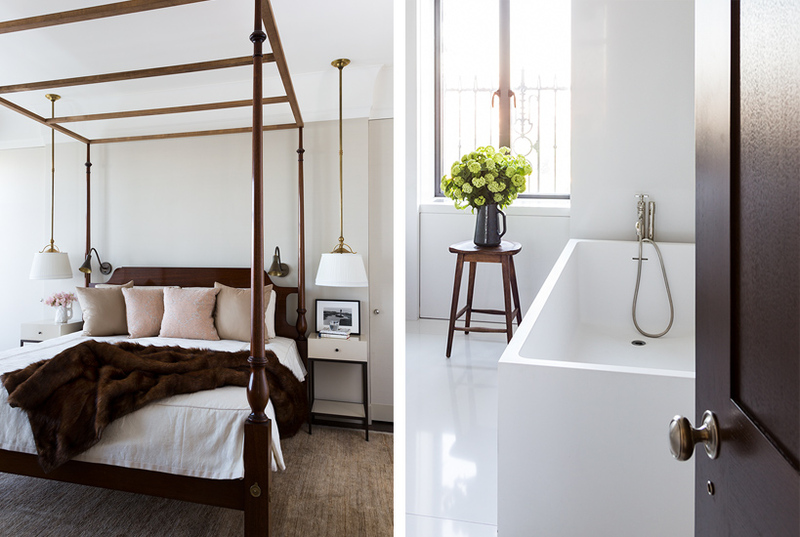 Honouring the building’s heritage – 1930s Manhattan and design influences from Milan, Carrier & Company have created the perfect home by combining their tailored, carefully edited and curated approach with the clients’ collections, artwork, taste, and personality, creating an exquisitely detailed yet comfortable and personalized space. 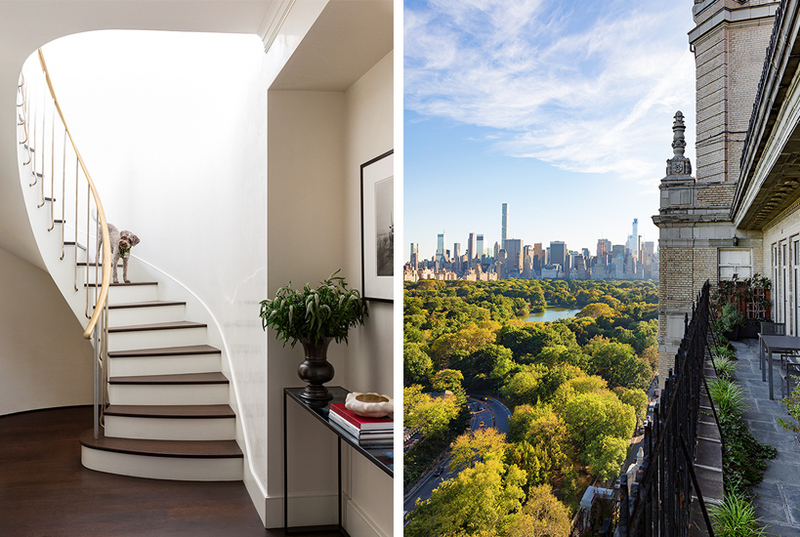 Projects include private residences in New York City, The Hamptons, New Canaan, Greenwich, Salisbury, Seattle, Martha’s Vineyard, Nantucket, Virginia, Naples, and Paris. Images: Zach & Buj and Sam Frost.